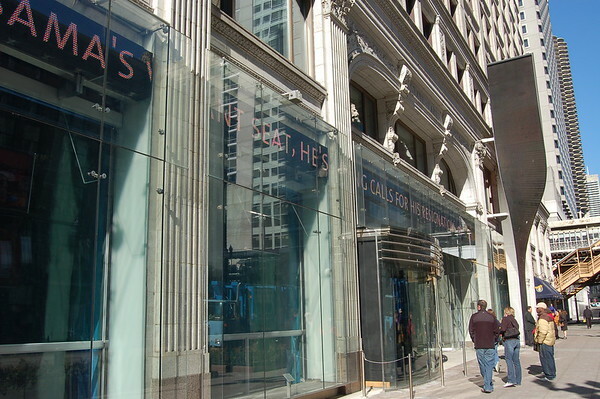 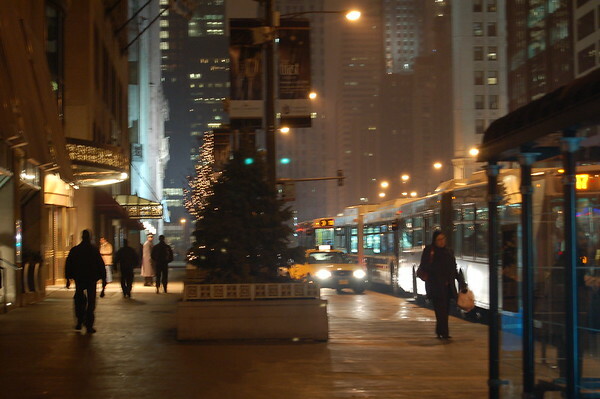 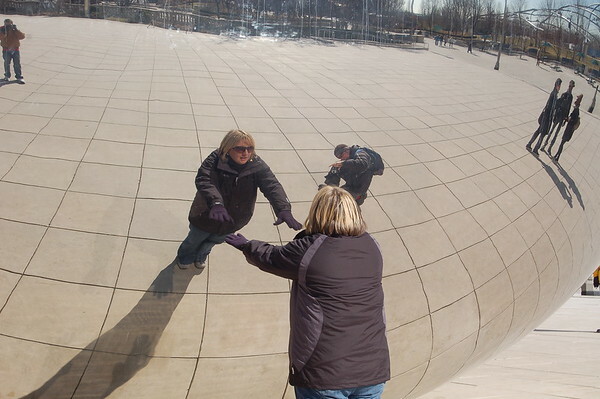 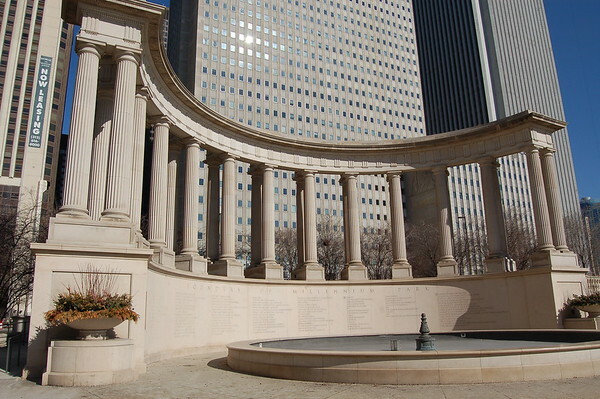 A photo tour around the downtown core of the nation's third largest city: Chicago. 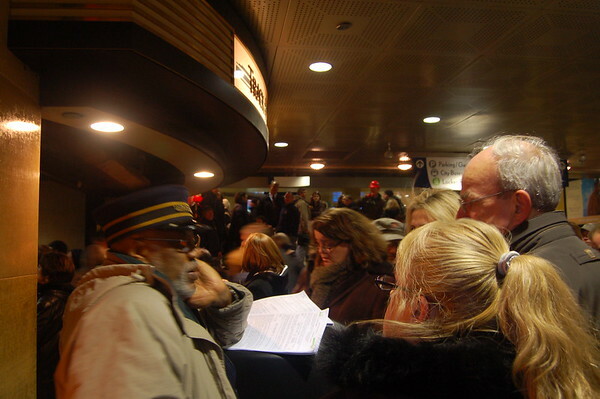 There are no clear common ailments. 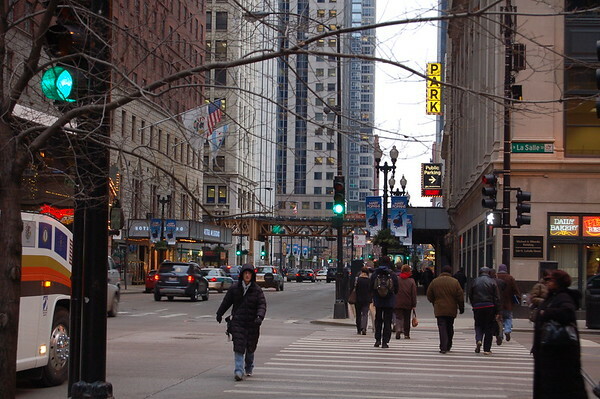 Which city is more walkable? 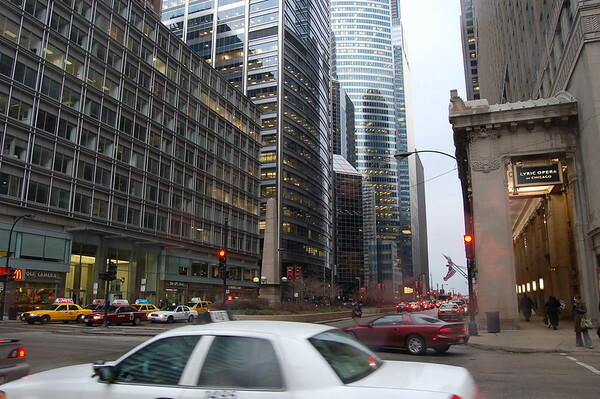 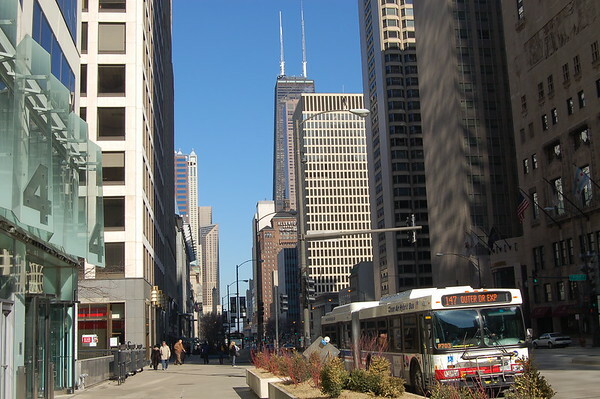 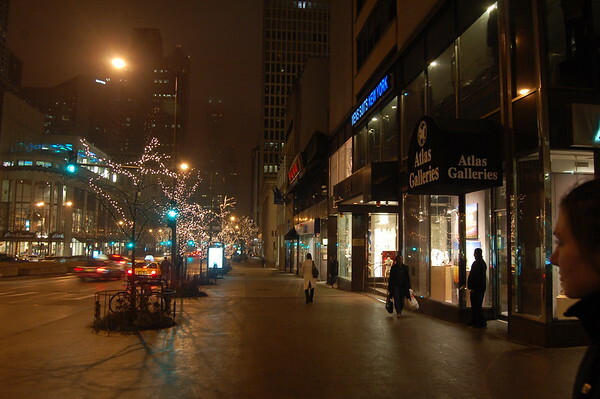 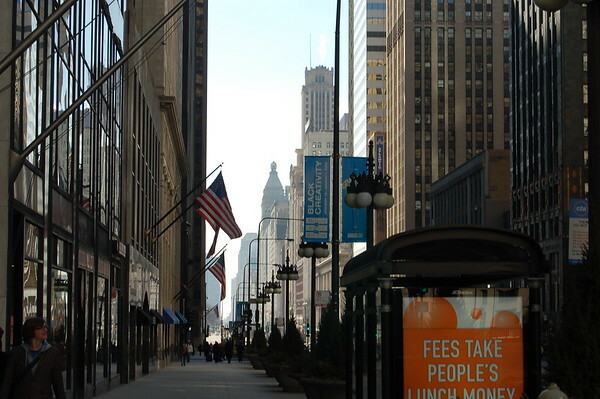 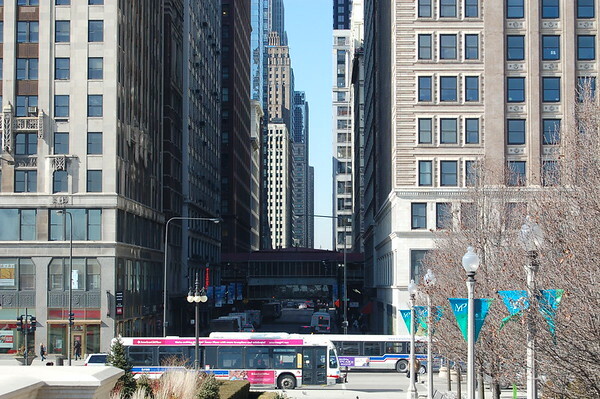 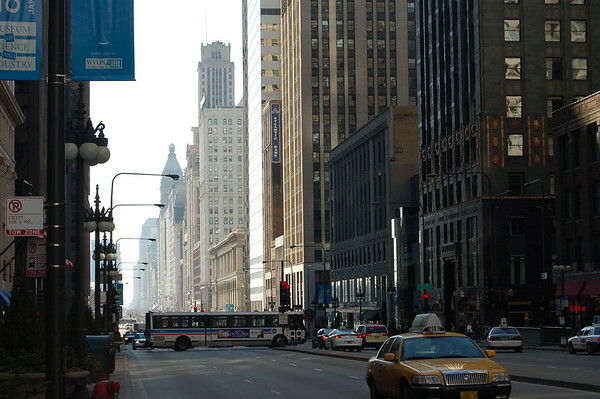 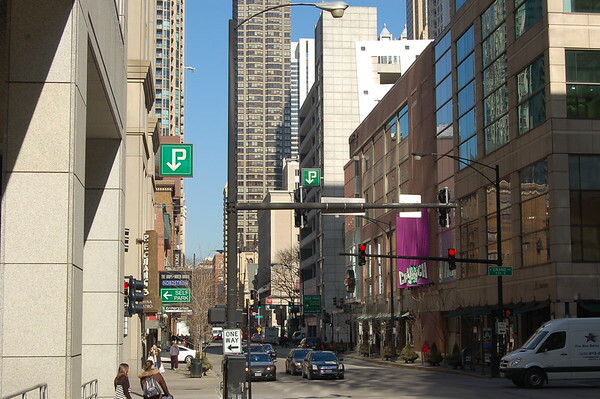 The Loop is the term used to designate the historical center of downtown Chicago. 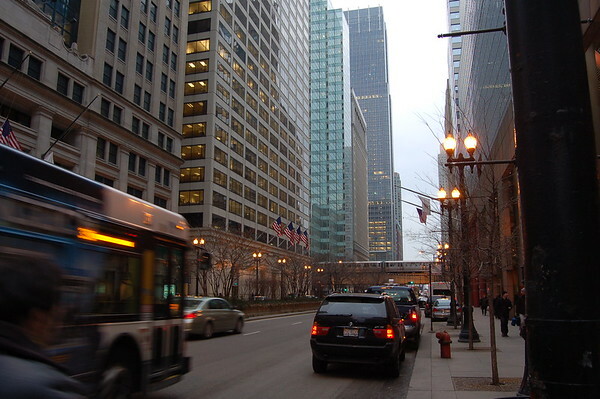 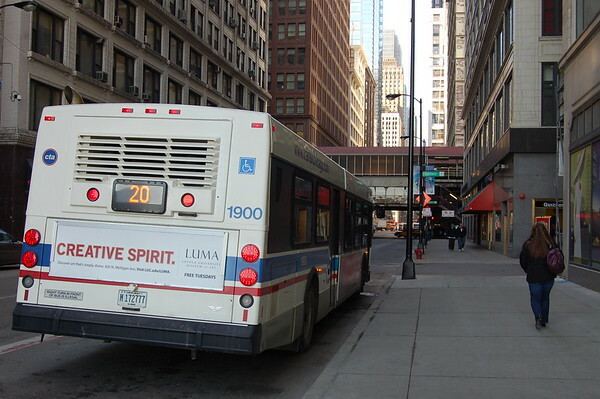 Most accurately, the term refers to an area bounded by a public transit circuit along Lake Street on the north, Wabash Avenue on the east, Van Buren Street on the south, and Wells Street on the west, but in general use it refers to the whole central business district. 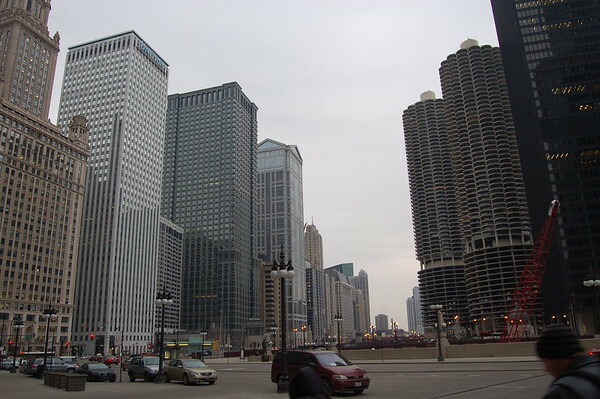 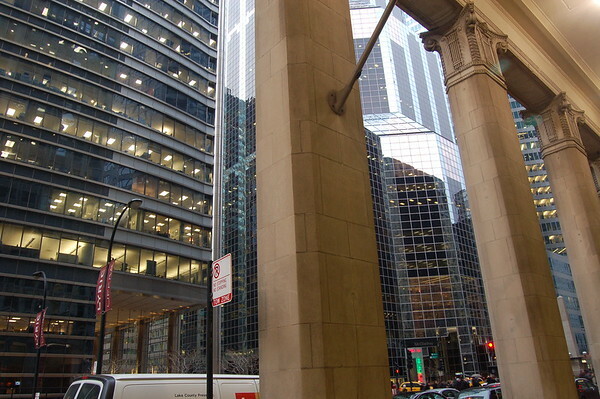 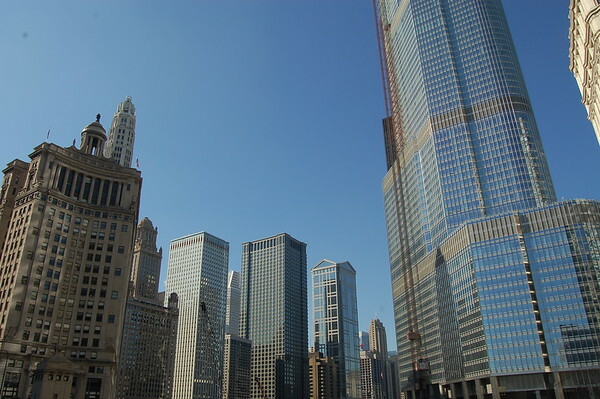 Chicago's central business district, bounded on the west and north by the Chicago River, on the east by Lake Michigan, and on the south by Roosevelt Road is the second-largest in the United States, after Midtown Manhattan. 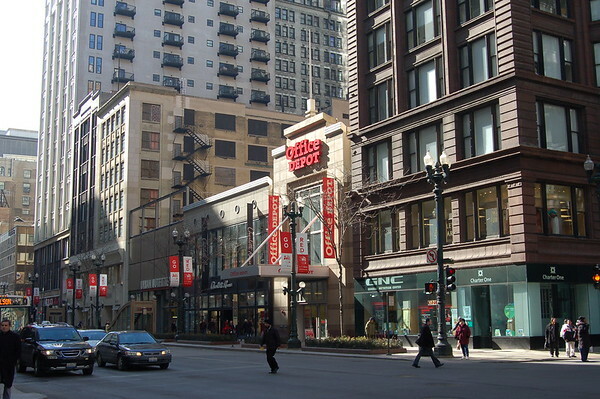 The term The Loop has different meanings. 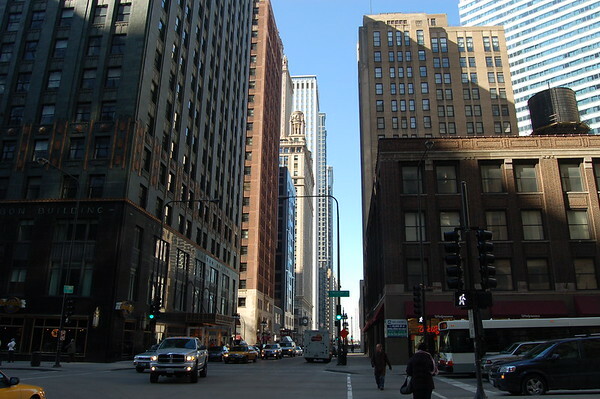 The term most explicitly applies to the area surrounded by the loop circuit formed by 'L' train tracks, and a preceding 1880s streetcar loop, but common usage defines it as the area bounded by the Chicago River on the north and west sides, Congress Parkway to the south, and Columbus Drive to the east. 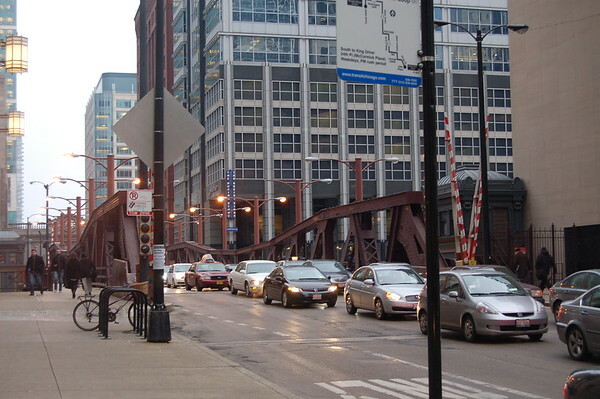 In official city parlance, delineated by the University of Chicago in the 1920s, the Loop is community area of Chicago number 32, bounded by the Chicago River to the north and west, Roosevelt Road to the south, and Lake Michigan to the east, though the original boundary is strictly the area circled by the elevated CTA tracks. 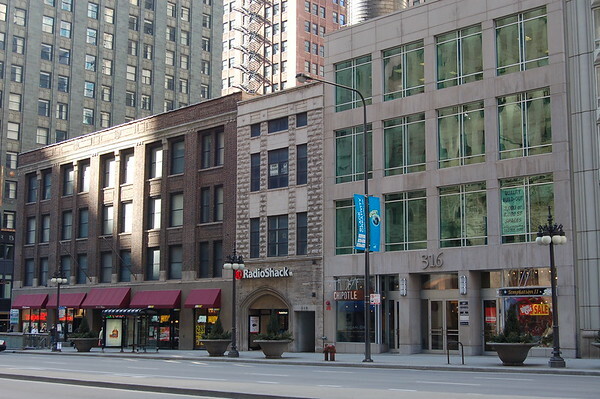 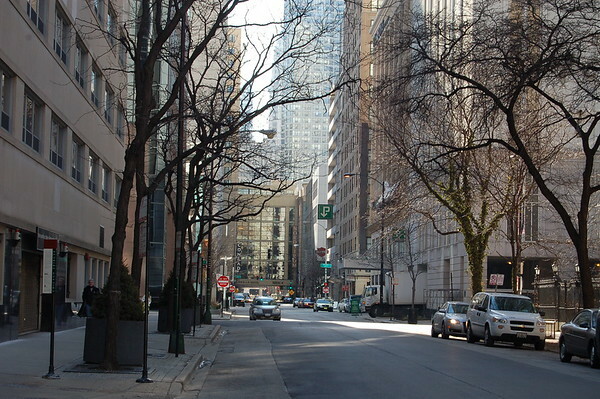 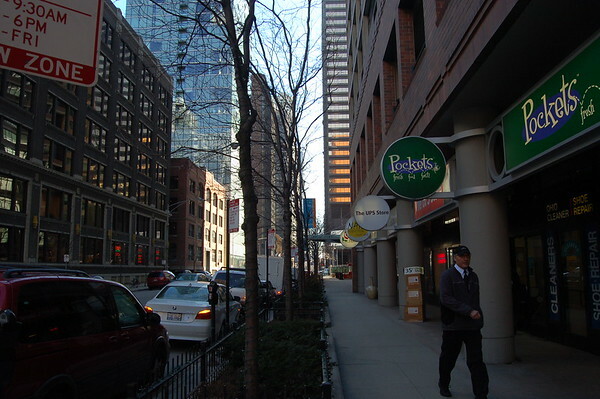 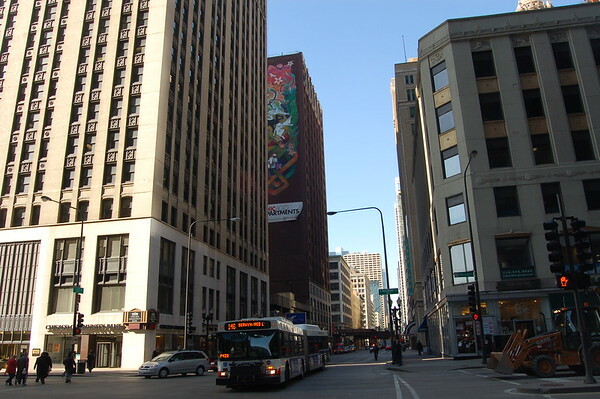 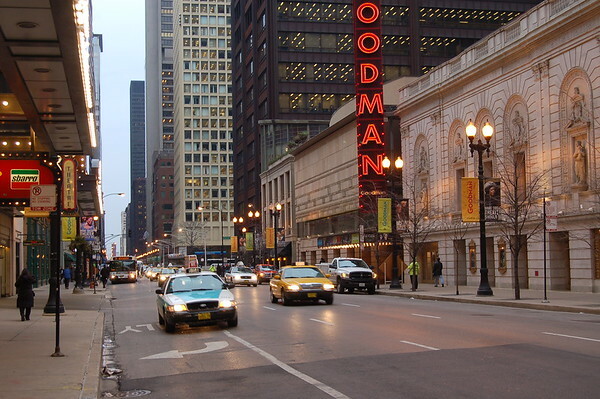 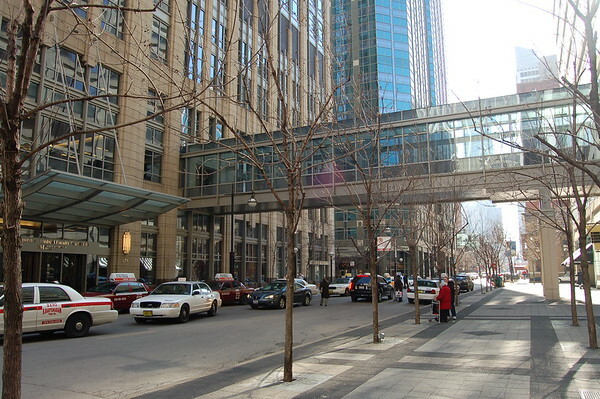 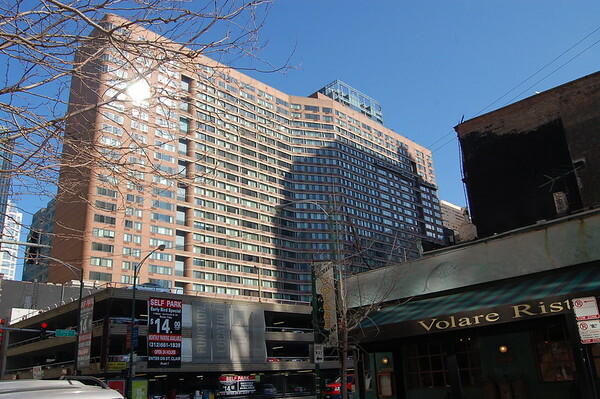 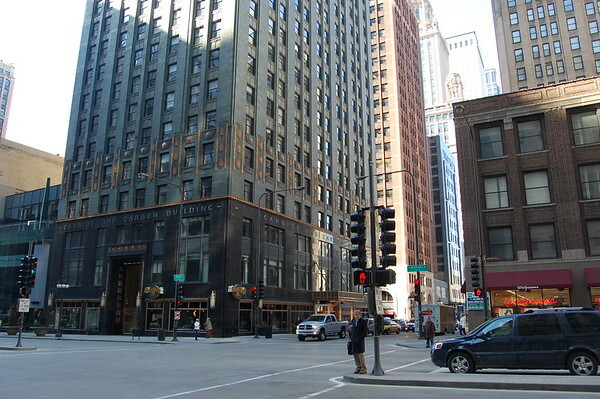 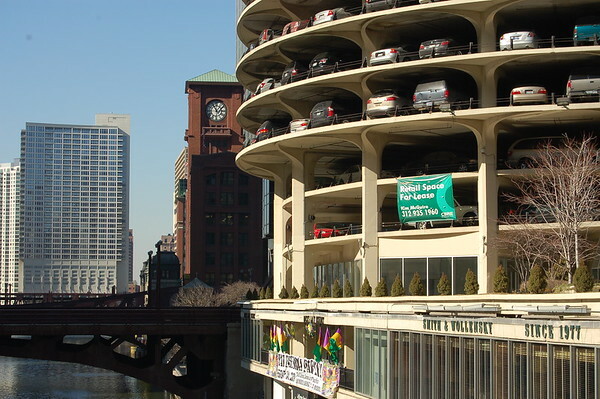 As the downtown area and its many high-rises expanded out past the community area over the years, "The Loop" has been used more generally to denote the entire downtown. 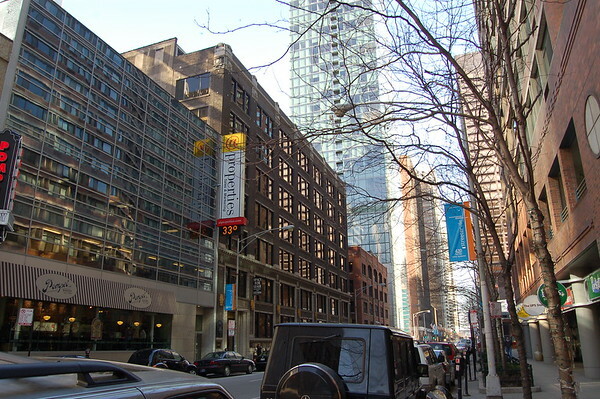 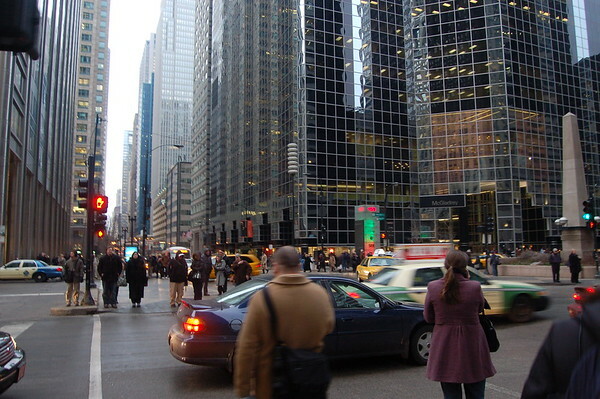 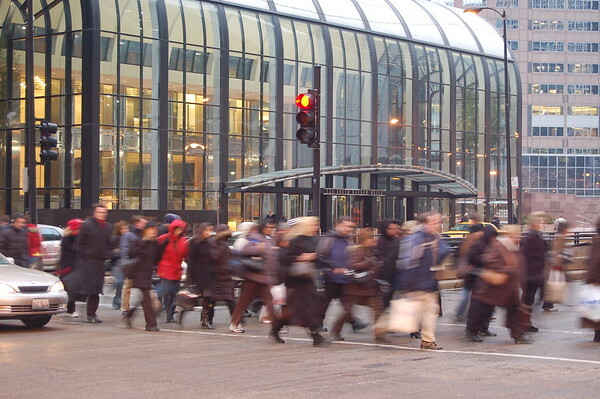 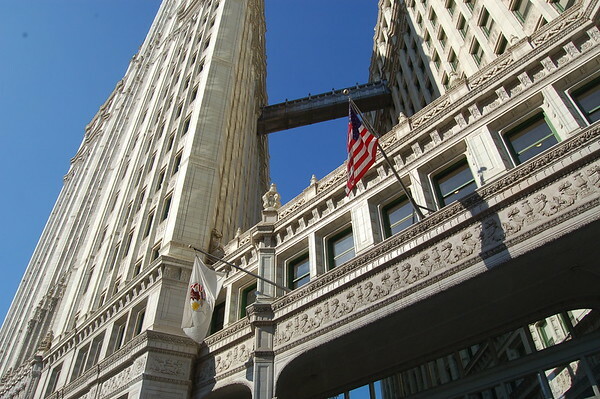 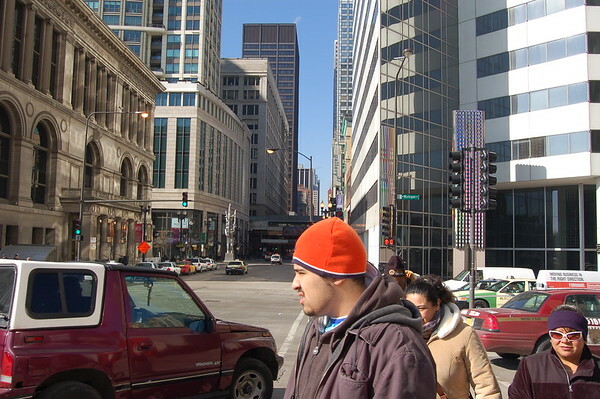 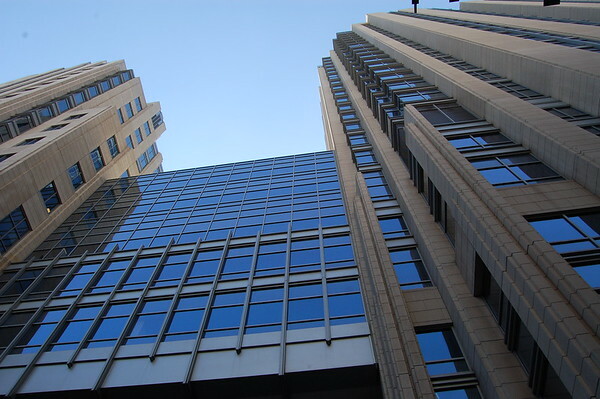 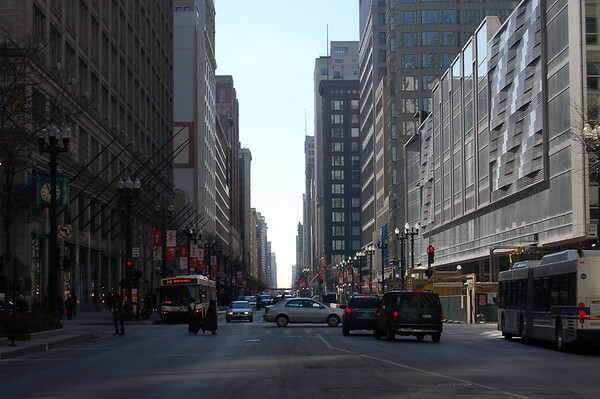 According to the 2000 census, 16,388 people live in the Loop. 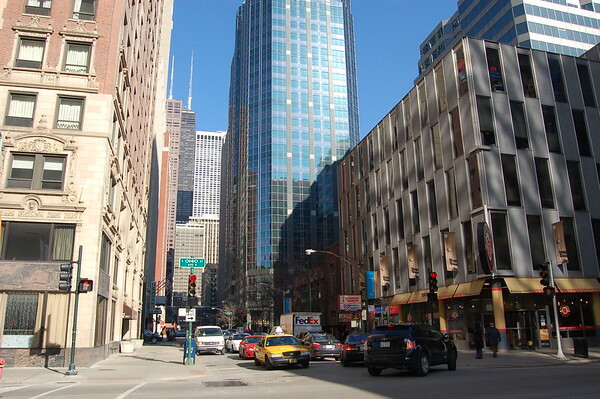 The median sale price for residential real estate was $710,000 in 2005 according to Forbes. 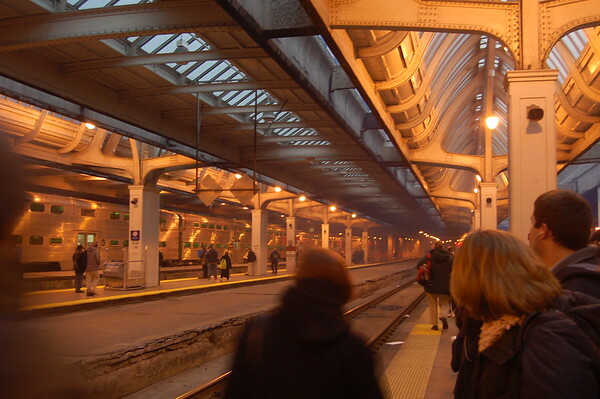 - O'Hare International Airport is the second busiest airport in the world. 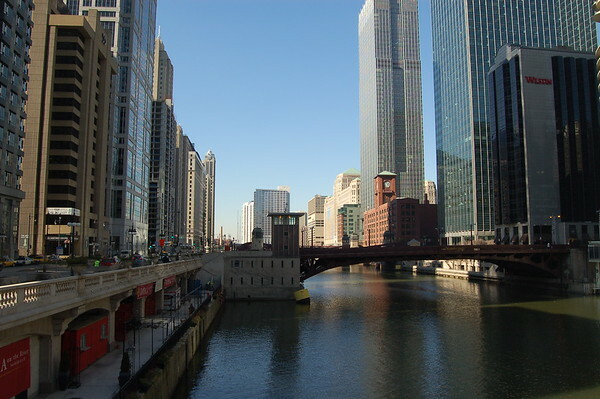 - Chicago has been chosen as one of the final 4 candidates to host the 2016 Summer Olympics. 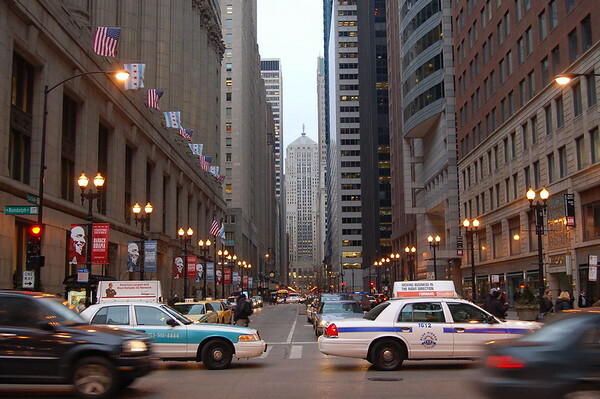 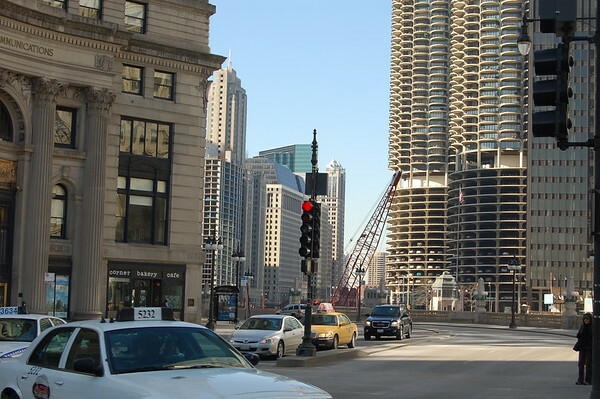 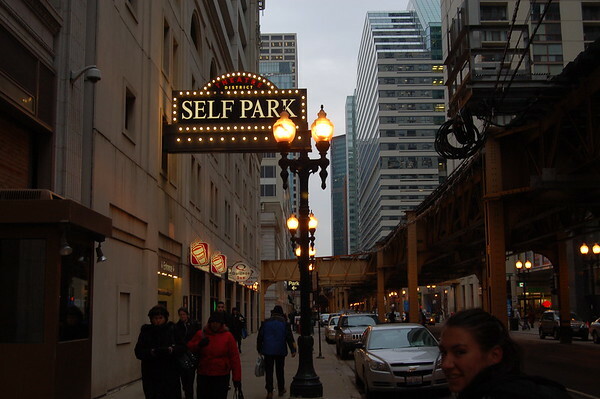 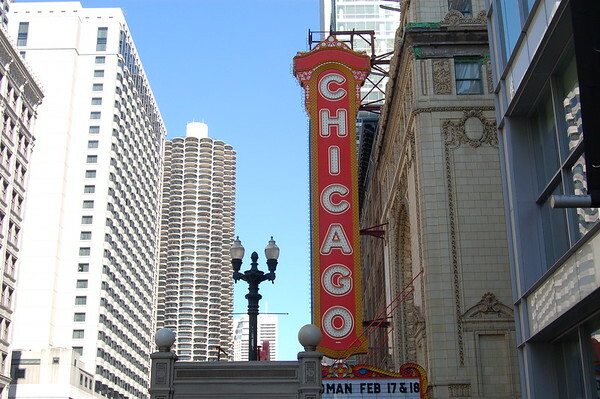 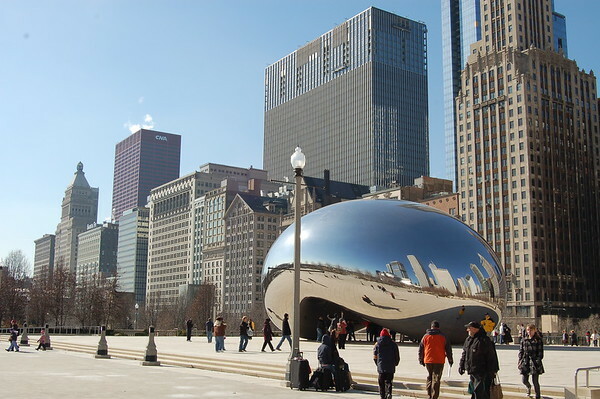 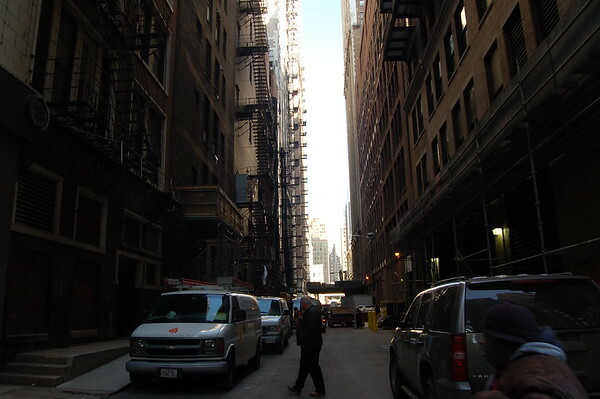 - The name "Chicago" is the French rendering of the Miami-Illinois name shikaakwa, meaning "wild leek." 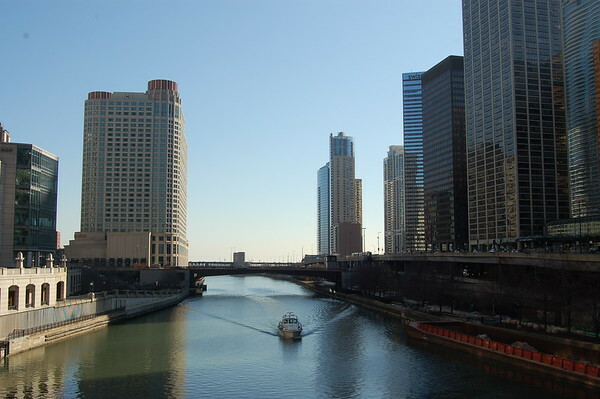 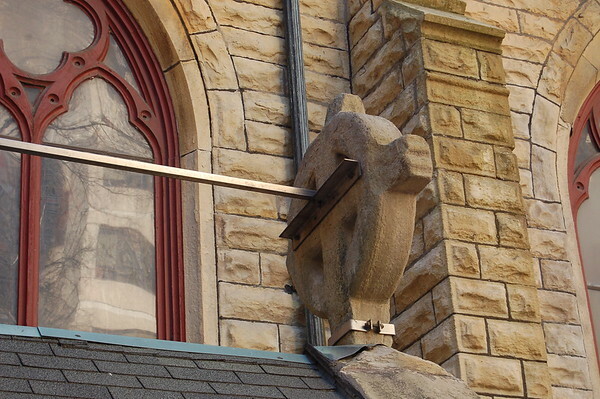 - The country's first comprehensive sewerage system was built in Chicago during the 1850s. 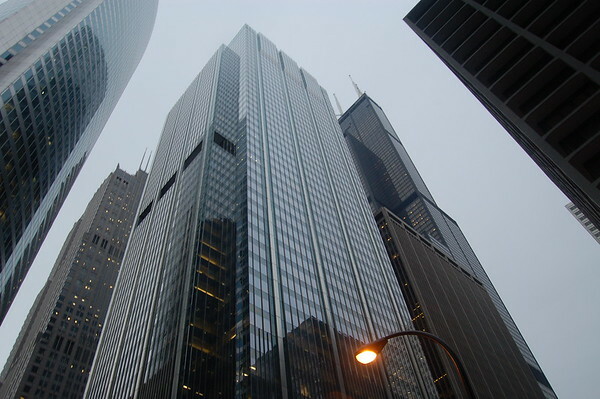 - The first steel skyscraper was built in Chicago in 1885. 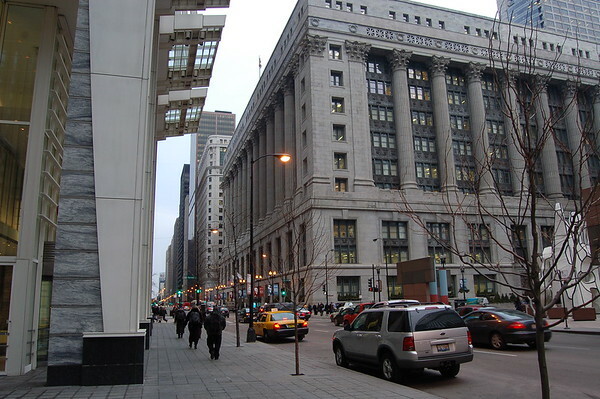 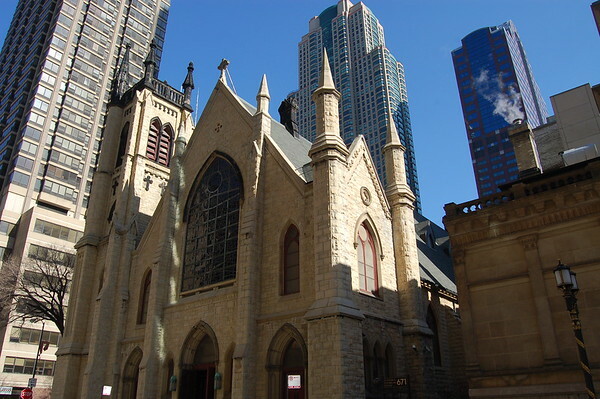 - Richard M. Daley has been the mayor of Chicago for 20 years. 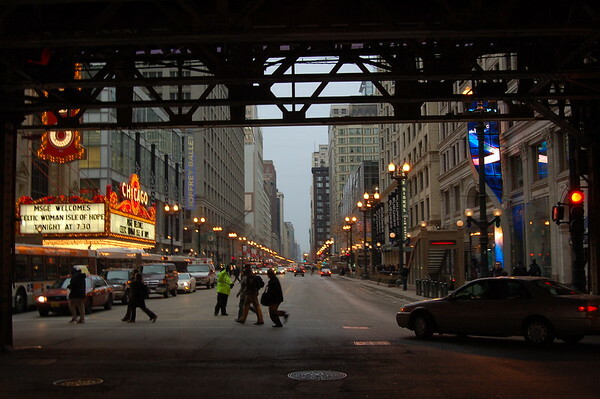 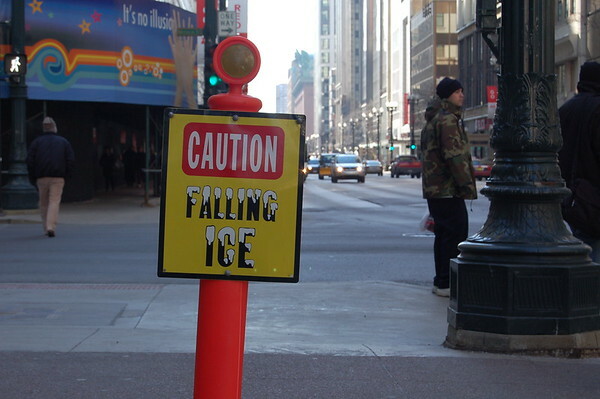 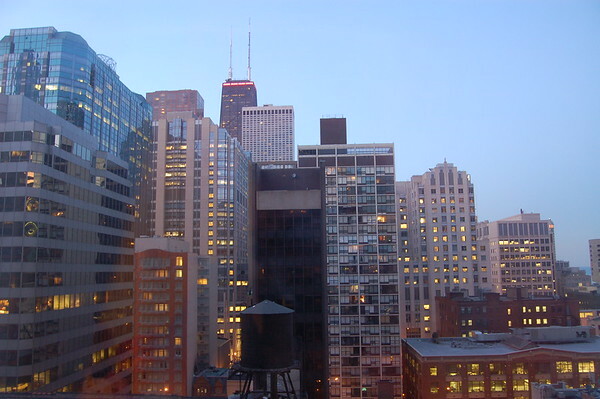 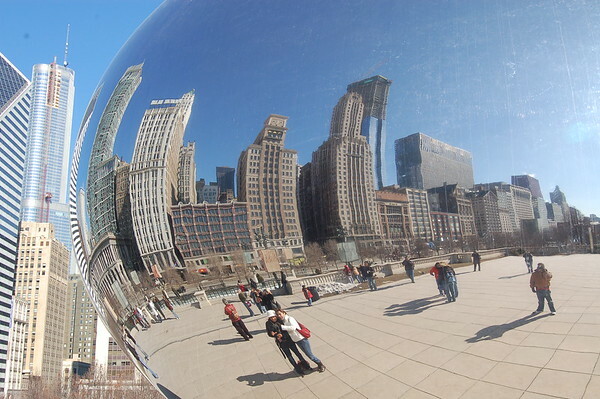 - 44.2 million people visited Chicago in 2006. 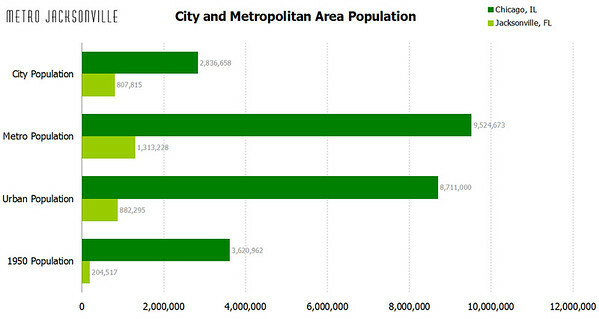 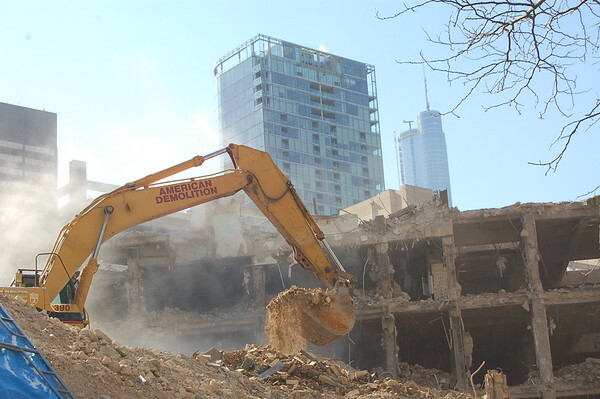 - Chicago's population has declined by 784,304 since 1950. 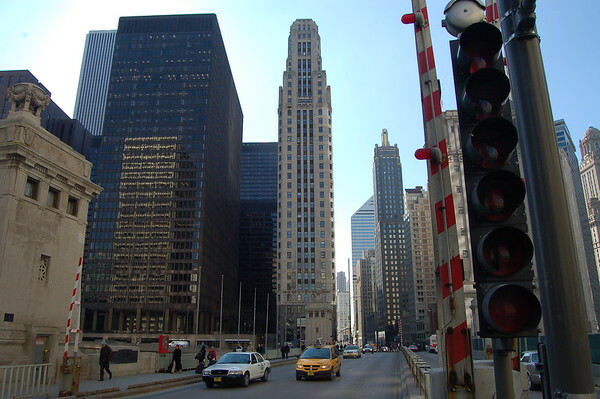 - Chicago is the only city in North America in which six Class 1 railroads meet. 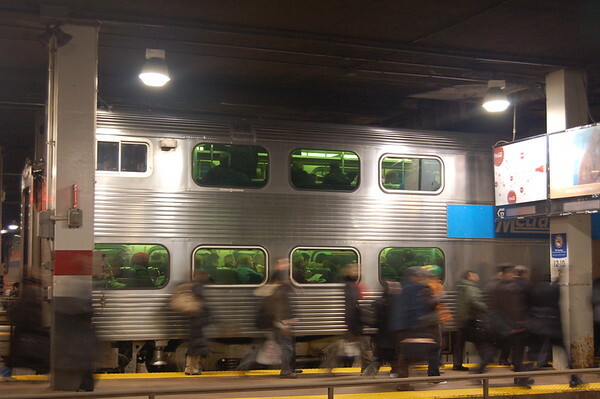 - About one-third of the country's freight trains pass through Chicagoland. 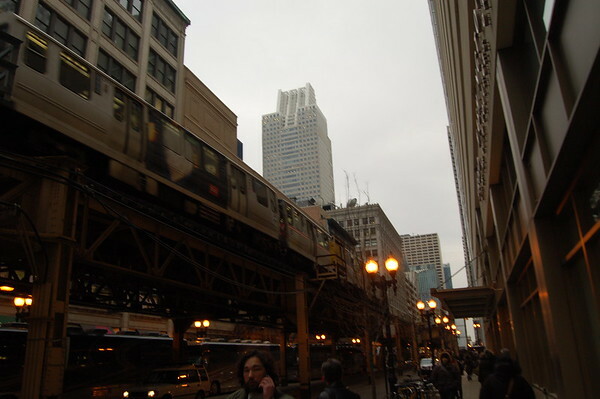 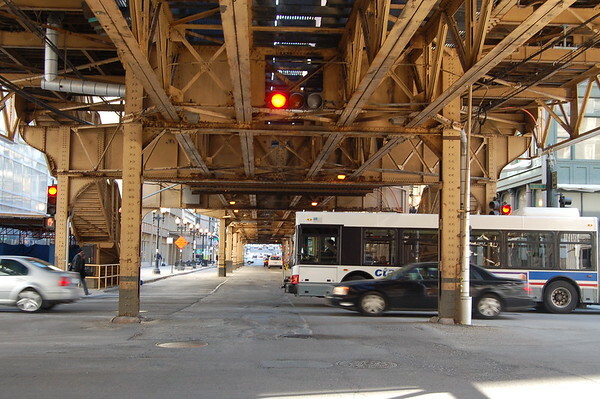 - The "L" rapid transit system began operations in 1892.� It currently averages 620,000 riders a day. 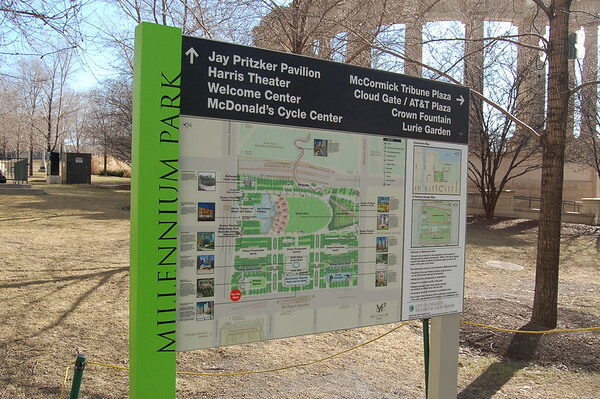 - The city has a 100-mile on-street bicycle lane network that is maintained by the Chicago Department of Transportation Bike Program and Chicagoland Bicycle Federation. 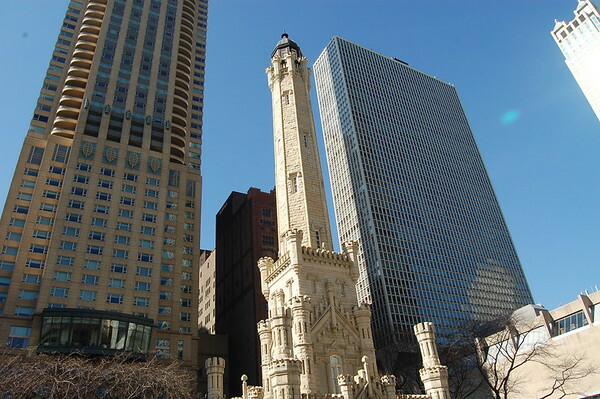 Chicago: Great Fire of 1871 destroyed a third of the city, including the entire central business district, yet spurring rapid rebuilding and growth during the aftermath. 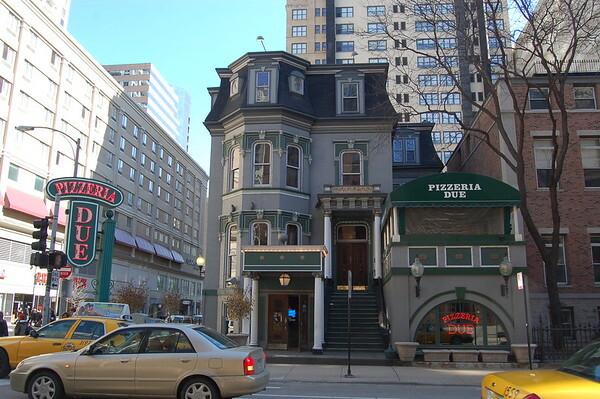 Jacksonville: The Great Fire of 1901 destroyed 146 city blocks, including most of the central business district, yet spurred rapid rebuilding and growth during the aftermath. 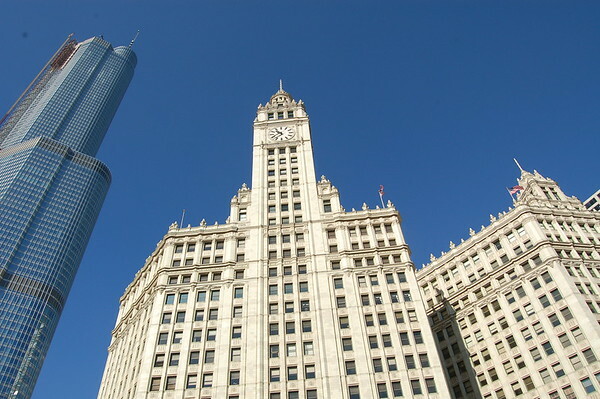 Chicago: Prairie School style architecture originated in Chicago during the late 19th century. 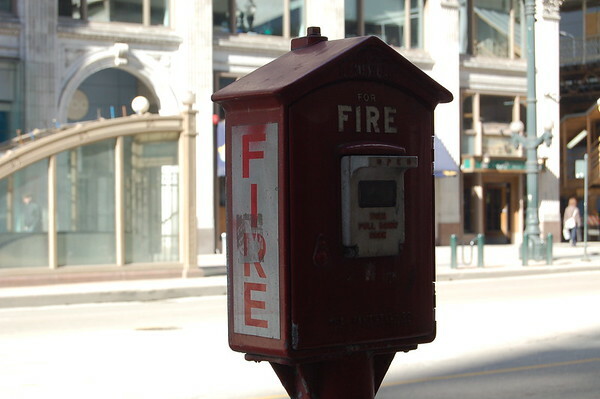 Jacksonville: During the aftermath of the Great Fire, H.J. 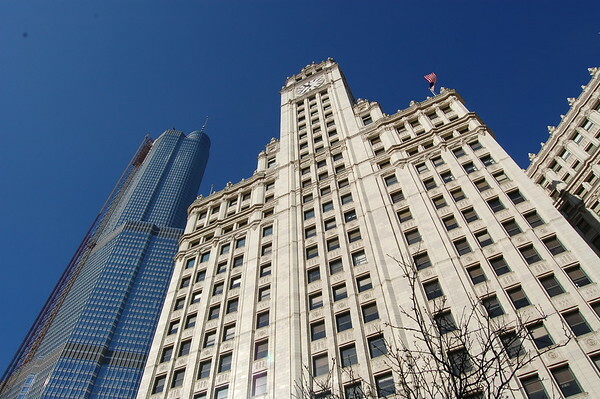 Klutho and other architects designed Midwestern "Prairie School" style structures with a Florida flair. 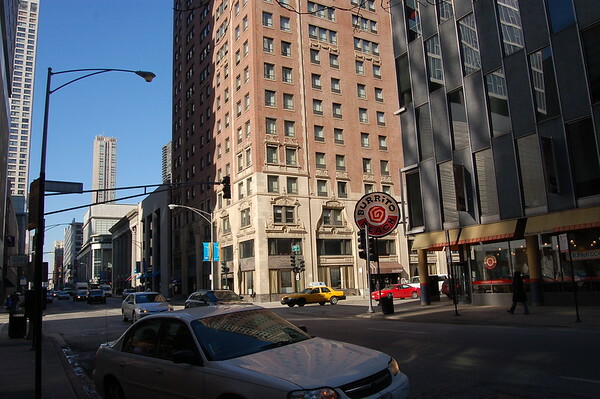 Chicago: Randolph organized the Brotherhood of Sleeping Car Porters for African-American employees of Chicago based Pullman Company in 1925. 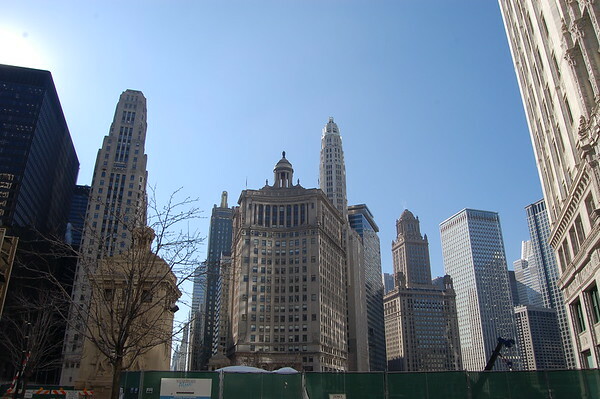 Jacksonville: Asa Philip Randolph grew up in East Jacksonville and graduated from the Cookman Institute (the only high school in Florida for African Americans at the time) in 1907.